Be aware that not everybody (including parents, hotel and convention staff, and local law enforcement) are anime and manga fans, so they may question if your costume is appropriate. 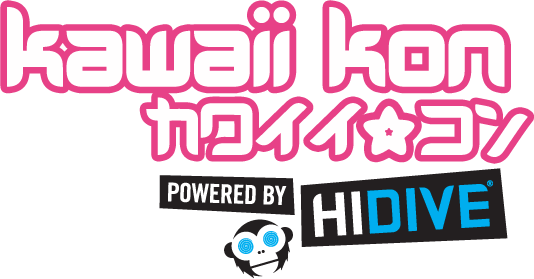 Please keep in mind when choosing your cosplay or outfit that Kawaii Kon is a family friendly convention, so parents with young children will be present. Any indecent exposure (public exposure of genitalia, buttocks or female breasts) is not permitted. When choosing and/or creating your costume, please consider the constraints of local laws and customs concerning public decency. Just because an anime character wears only a face mask, you may not do so. Body paint does not equal clothing – indecent exposure rules still apply. Body suits or flesh-toned fabric is permitted. Wear footwear at all times. Intermittent removal of footwear to rest or take photos is permitted. Be sure costumes are sturdy and fitted. You should not be falling out of your costume, and it should not be falling apart around you. Remember to have proper support such as bras and/or athletic cups, especially if you plan to be physically active, i.e., dancing or running. Be aware of your surroundings, especially if you have a bulky or large costume. Respect each other, regardless of what you are wearing!